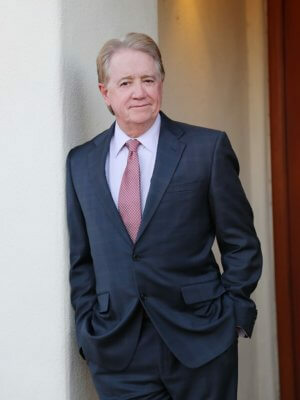 Michael McGrath is a partner and the Board Chair of Mesch Clark Rothschild. He is a commercial lawyer in a practice which which emphasizes on debtor and creditor rights, commercial and real estate litigation and transactions. Michael is a Phoenix native and received his J.D. from the University of Arizona College of Law. He began his career clerking for the Chief Judges of the United States Bankruptcy and District Courts in Phoenix. Michael has been selected as one of the Top 100 Lawyers in Arizona for the past two years by Arizona Business Magazine. He has been included in the Best Lawyers in America publication for more than 25 years, and was recognized as the 2016 Lawyer of the Year for Bankruptcy Litigation by the Best Lawyer publication. He has been recognized as a Super Lawyer, a Southwest Super Lawyer and has been selected as a member of Arizona’s Finest Lawyers. Michael is a fellow in the American College of Bankruptcy and the Litigation Counsel of America. He has served as a Lawyer Delegate to the Ninth Circuit Judicial Conference, and been a member of the Bankruptcy Rules Committee for the District of Arizona, the Bankruptcy Advisory Commission for the certification of bankruptcy specialists, and Merit Selection Committees for the District’s bankruptcy and magistrate judges. Michael was a member of the Disciplinary Commission of the Arizona Supreme Court from 1994-2000, serving as chairman from 1999-2000. He is active in civic, cultural and professional organizations, including the Volunteer Lawyers Panel of Southern Arizona Legal Aid. He is a past Chairman of the Board of Directors of the Tucson Urban League, a former president of the Tucson Conquistadores and the Tucson Conquistadores Foundation. He serves as counsel for the non-profit Rialto Theatre in Tucson. He is a managing member of the Hacienda del Sol Guest Ranch Resort in Tucson. Michael is married to Eileen Romer McGrath, Ph.D., and they have two daughters: Katlin, New York City and Shea, Tucson.